Two points are paid attention in implementing our team Kasuga-bitos. One is an agent changes its playing style as a game proceeds. The other is that agents cooperate each other using only visual information without any programmed protocols. 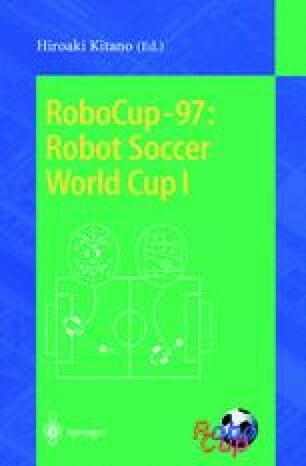 Their effects are estimated by games with Ogaltes, the champion team in PreRoboCup 96.